FLORENCE, Colo. — A California-based Christian legal organization has proposed a new policy to Colorado school district officials in an effort to sufficiently protect girls in one school district who state that they feel uncomfortable with a boy that has been using their restroom. As previously reported, according to the Sacrament0-based Pacific Justice Institute (PJI), parents of teenage girls at Florence High School contacted PJI last year to express concern after their daughters said that a boy, who identifies as a girl, had been using the restroom and making inappropriate comments. 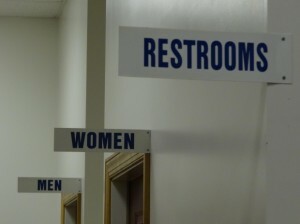 The male student reportedly uses the boys’ and girls’ restrooms interchangeably, and is thus not consistent in his gender identity. However, when parents approached school officials about the matter, they were informed that the male student must be permitted to use the girls’ facilities. Therefore, in an attempt to reach an agreement that would satisfy both sides of the matter, PJI submitted a draft policy to the Florence-Penrose School District last month. Superintendent Rhonda Vendetti told the Daily Record that the school board will discuss the proposed policy during its workshop on February 10th. Brad Dacus, president of PJI said that he believes the policy is necessary to protect students in such sensitive settings.